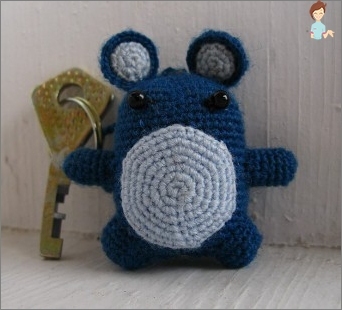 Many like cute trinkets like key rings forKeys, backpack, pencil case, etc. Today you can buy any such trifle, because the range of goods is extremely huge. But you will agree that the author's work will look much more stylish and bring more joy than the next product from China. And since you can make a key chain with your own hands from almost any improvised materials, then there will not be any special difficulties in this matter. Before sharing in a simple wayMaking jewelry for a bunch of keys it is worth recalling that the key chain is not just a thing. This is a kind of expression of the individuality of its owner, especially if it was made by his own hands. In addition, it carries an energy message, so you need to start work only with a good mood and, perhaps, then your craft will become for you a real amulet at random or an amulet. You can also use old, unnecessary partsFrom watches and leather straps for a charm in the style of steampunk, wine corks, pencil sticks, rags of cloth, ribbons and much more. It all depends on your imagination and available materials. To begin with it is necessary to talk about how to make a small key chain made of paper. This material can be found in every house. There are a lot of options for crafts. Open the lacquer, put the details on the rope, you can add the beads. Also from paper, you can make this accessory inOrigami technique or quilling. A very interesting solution is a miniature booklet. However, please note that, most likely, such crafts will not last long, as they are quickly overwritten. Also, various crafts can be made fromOrdinary threads. To do this, you need a fantasy, as well as a scheme for work. You can easily find suitable on the Internet. Since the key chain is better made from strong threads, take yarn or shoe threads. Also moulin or thin elastic bands will fit. As an example, you can try to execute fromThread of the dream catcher. For this, the base ring is taken and wrapped tightly with threads. Then begin to tie the pattern in the center of the ring. Separate segments intertwine with each other in bizarre patterns. You can specify with their help a specific value for the key fob. And here's how to make a key chain made of rubber bands? You can try to weave an odd job on the principle of making friendship bracelets. This technique implies interlacing several segments with each other, tying knots, which in the end allows you to give the product a specific shape. The same can be done with threads. Applied and clerical rubber bands. For example, with their help and a simple hook for knitting, you can weave a heart-shaped key ring from rubber bands. 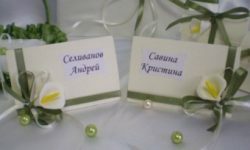 As to make of beads and beads a key chain of any form is the easiest, this method is the most popular. To do this, you will need a set of beads, fishing line or thin wire and a circuit for work. How to make a keychain in the shape of a flower? Connect all the elements, twist the wire and fasten it with a large bead below. You can also make a craft of plasticine. 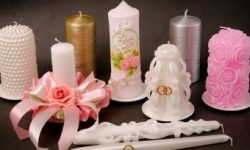 It is better to use polymer clay, as it can be baked for greater strength. Since it is possible to make a keychain made of clay or plasticine of any color and shape, there are no restrictions in this respect. Top coat the key chain with lacquer. 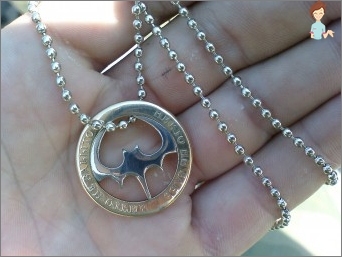 And here's how to make a stylish keychain out of a coin? For this you need coins of different sizes. Drill holes in them and fasten them with a chain, alternating between different diameter elements. You can create an original composition from the currency of different countries. Such an accessory can become a collection of souvenirs from your foreign travel. Also it is possible to make a hand-made article from one singleCoins. The easiest option is to cut it in half with a curly line. It turns out the similarity of yin and yang, the second half, which you can give to a person close to you. The coin holder is inserted into the drilled hole from above. By the way, a stylish little thing from a coin can bring good luck in personal affairs and in the financial sector. 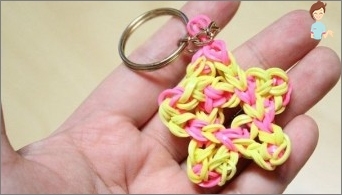 There are many more ways to do thisKey chain with your own hands. And for this, absolutely unexpected materials may be needed. You can combine small pieces of beads, paper, thread and plasticine. 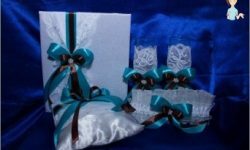 Fantasy is not limited to anything, besides all the necessary details can be easily found in shops for needlework and even at home. Inspiration for you and creative success!